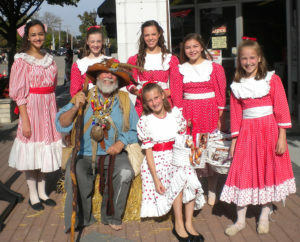 Plans are being made for this year’s 25th Annual Johnny Appleseed Festival in Downtown Crystal Lake. Mark your calendar for the last Saturday in September! Did you know? John Chapman, better known as Johnny Appleseed, was a real-life historical figure whose wilderness adventures became larger-than-life legends. He was known as a kind and gentle man who planted apple trees throughout the Midwest. Meet and greet Johnny Appleseed himself, as he strolls the streets of downtown, telling his story throughout the day. Crystal Lake’s largest one-day event brings families and the community together to celebrate Fall. ARE YOU A CRAFTER? The Craft Fair will be held in Ormsby Motors’ parking lot during the Johnny Appleseed Festival. Dozens of vendors displaying beautiful and unique handmade items (everything from quilts to painted rocks to jewelry to fabric tote bags to crocheted items to holiday decorations to….well, you get the picture!). NEW THIS YEAR! Start your apple day at the Community Pancake Breakfast hosted by Bethany Lutheran Church. Breakfast will be served from 7AM to 10AM on Saturday, September 30th at Bethany Lutheran Church, 76 E. Crystal Lake Avenue. Pay at the door. Each person attending the pancake breakfast will receive one FREE Johnny Appleseed Festival event ticket which can be used for games, activities, rides, and souvenirs at the Festival. 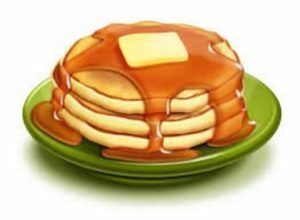 Proceeds from the pancake breakfast will benefit the Bethany Youth Group’s upcoming trip.